The Ebury Hotel works closely with Croft Cars Kent (www.croftcarskent.co.uk) who provide an extremely reliable and competitively-priced service in very smart, new and comfortable vehicles for our customers visiting from abroad or locations within the UK. Croft Cars Kent is a friendly local family-run firm who specialise in long distance travel to all the UK airports and train stations including Heathrow, Gatwick, Stansted, St Pancras and Ebbsfleet, to name just a few. To make a booking ahead of your journey you should contact Croft Cars either via their website (www.croftcarskent.co.uk) or by telephoning 01227 499 999 when you will speak with either Matthew or Hayley Croft. 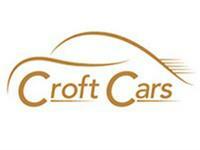 Croft Cars will always take great care of you and ensure all your requirements are considered and planned for. As well as monitoring all flights into the UK, Croft Cars will advise travel times required to reach your destination with plenty of time to make your connection.